The Lark Street craft beverage shop Pint Sized is moving -- to a new location, and to a (somewhat) different format. "It's time to grow, to move on to better things," owner August Rosa said Tuesday. Pint Size started out in 2014 -- under the name Brew -- as a retail shop in its current below-street level space at the corner of Lark and State. 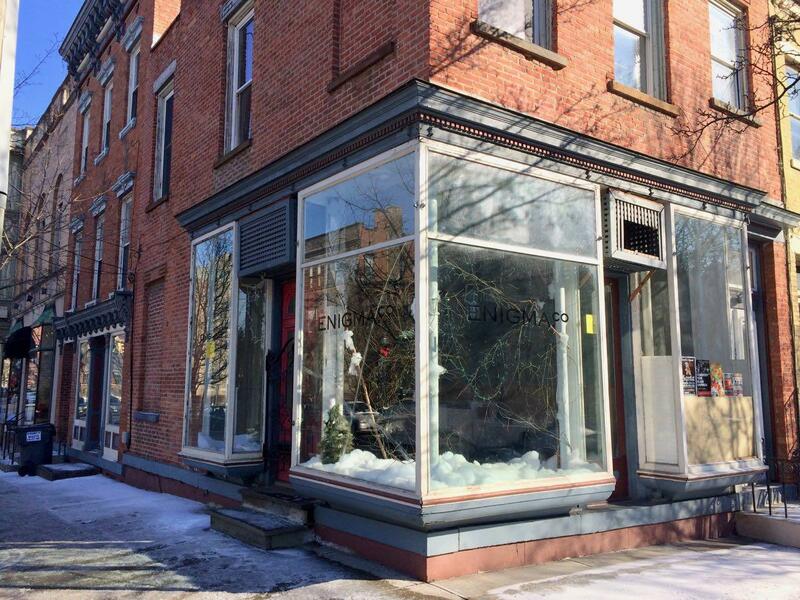 And last May it opened a second shop in downtown Saratoga Springs that also incorporated a small bar. The Lark Street shop is now moving to 250 Lark, the space that formerly housed Ben & Jerry's and more recently the clothing shop Enigma (it's the at the corner with Jay). And Rosa said he'll be using the extra room at the new spot for a shop with bar. Rosa said the goal since rebranding as Pint Sized and opening the Saratoga shop has been to move the Albany store to a similar shop/bar format -- and the experience in Saratoga encouraged the idea. "What's fun is developing relationships with customers," Rosa said, noting that they've already done that to an extent with a large group of regulars in Albany. But moving to a bar format will allow people to hang out and talk. + A selection of roughly 100 different types of canned beer, and another 100 or so in bottles. The new shop will be phasing out coffee. "We're really focusing on craft beer right now," Rosa said, pointing to many other coffee options around Lark Street. The project requires a conditional use permit from the city, and there's a public hearing for that permit application at this week's planning board meeting -- Thursday, January 18 at 5:45 pm at 200 Henry Johnson Boulevard. Rosa said if the various approvals needed come through in time, he's aiming to open the new shop sometime in March. While hunting for a new space, Rosa said for a time it looked he wouldn't be able to find something on Lark Street. But then the 250 Lark space opened recently and it fit his list of criteria. "I was really stressed out, I thought I was going to have to leave the neighborhood, something I was adamant about not doing." He said he wanted to stay in the neigborhood because of its density and walkability. 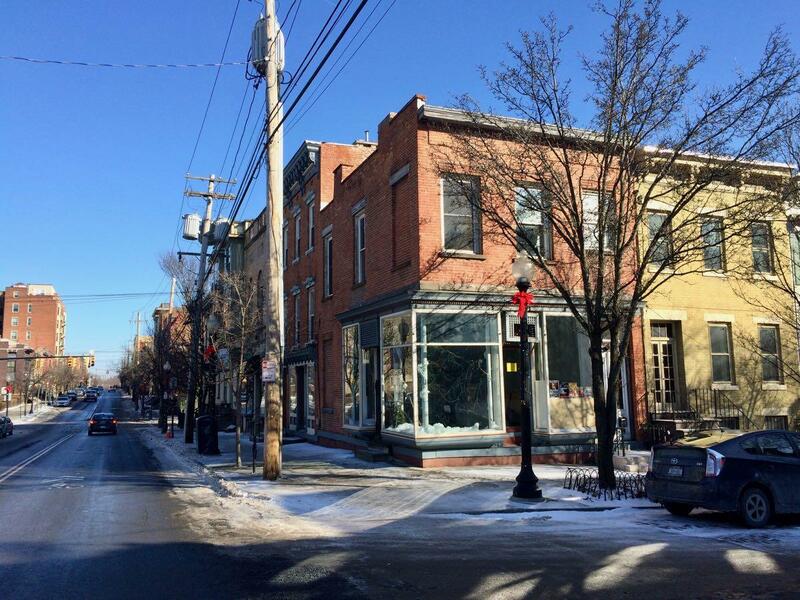 In the past few years, there's been some talk here at AOA and other places about the state of the Lark Street business corridor and whether it's been going through the sort of cyclical turnover that any neighborhod retail strip experience or larger patterns had shifted. When Brew/Pint Sized opened in 2014, Rosa said the corridor was maybe near the bottom of a down cycle. But lately he feels like things are looking up -- a handful of new businesses have opened during the past year, joining stalwarts such as the Daily Grind and Bombers and the Downtube. "I think people are going to start noticing that there's a lot of positive energy," he said. Very excited by this. Lark definitely benefits from the vibe a place like this will provide. Incidentally I recall a story a while back about a "craft beer bar" being developed at the former Dejohn's (or Legends...can't remember which) but haven't seen anything since. Did this project die? I'm glad someone else is going to use the space. I'm sad to see Enigma close though.